The Golden Trio. . Wallpaper and background images in the Harry, Ron and Hermione club tagged: the golden trio harry potter harry hermione ron hp trio hp friends. 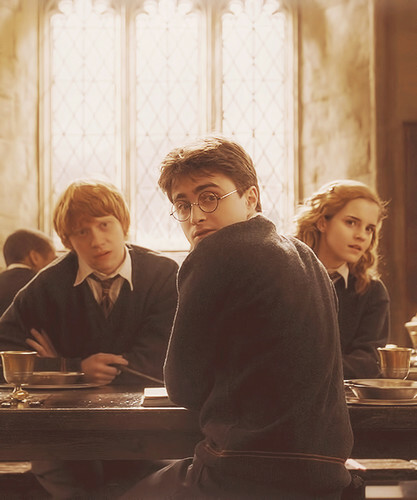 This Harry, Ron and Hermione photo contains ज़ंजीर से बंधी बाड़ and chainlink बाड़. There might also be चोली, ब्रासेरी, and बिस्टरो.